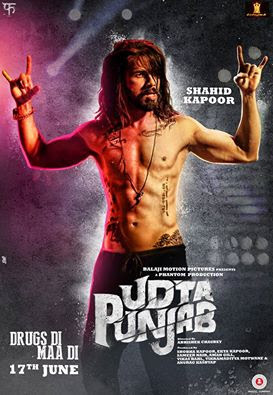 Hi Friends, I am sharing some beautiful stunning dialogues of Bollywood most awaiting movie Udta Punjab. The movie story based on drug. It is a story of four different people merged together. There are four different stories and four different perspectives. It is the first Hindi film to deal with the drug issue. Sahid Kapoor, Alia Bahtt, Kareena Kapoor And Diljit Dosanjh are playing main lead role. All are looking decent. Sahid kapoor is looking in new look and Alia bhatt also. She speaks bhojpuri language in movie. Alia Bhatt to be seen as professional Hockey player. Shahid Kapoor will be seen portraying the character of Rockstar. Totaly the movie is going to awesome. Udta Punjab is an upcoming thriller film, which is directed by Abhishek Chaubey. It is produced by Shobha Kapoor and Ekta Kapoor under their banner Balaji Motion Pictures in association with Phantom Films. 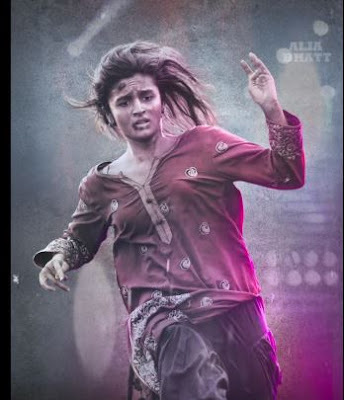 Here I am sharing some stunning dialogues of Udta Punjab Movie. I hope, you will like my post and enjoy.
" Kaun ho....Main Tommy.....Kutta "
" Bas ho gya na chutiyapa"
" Todd charon pase gand par phir bhi tu ekdam clean hai"
" Toh chhod kyun nahin deti yaar....? Kah ? Punjab ki sui ?" "Tere Yahn dil nahi...Cocaine hai"
" Kuch nahin hona hai Punjab Da..Zameen bager te Aulaad khanjar"